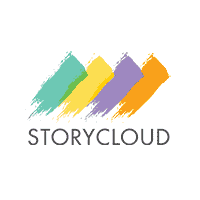 StoryCloud provides a unique and powerful content publishing platform that enables publishers to control their content and fully monetize their audiences. With 11 patents pending, and several million dollars in seed financing, the company is launching its high-fidelity content publishing platform in April of this year. More than a dozen major clients are evaluating the platform, which includes permissions, security, social networking, analytics, affiliate marketing, and e-commerce. The company anticipates bringing the platform to hundreds of millions of users, and tens of thousands of content publishers, from individuals to large corporations, in the immediate future. Founded by seasoned executives and investors, principal members of the team have been working together for more than a decade, and have had five consecutive home run exits with zero failures.